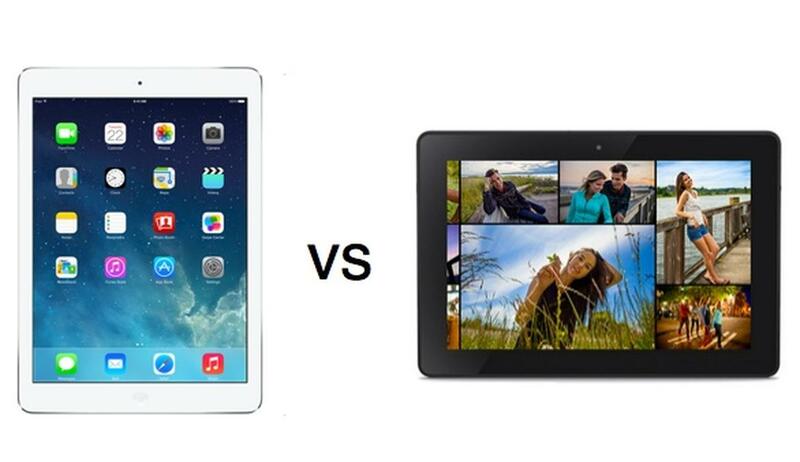 Is iPad or Android Better for Your Visitor Registration App? Thinking about implementing a visitor registration app in your office? Prepare to be amazed by the efficiency. An Android or iPad receptionist does the work of several people, all for a fraction of the cost. These are just a sampling of the features of the best visitor check-in apps. Keeping you on task while prioritizing your visitor's time, a visitor registration app is the jack of all trades. You might think something so sophisticated would be a headache to implement, but a visitor registration app can be set up for free, in just minutes, regardless of your tech skills. All that's required is a tablet computer and a mount to secure it and make it highly visible when your guests arrive. Your visitor management system can be mounted on a desktop stand, floor stand kiosk, or even on the wall. The question we are often asked is... Which tablet will work best for our Greetly visitor sign-in app? Here are some advantages of running your visitor registration app on Apple's iPad devices versus Google's Android operating system. Tech Leader: Apple continues to push the envelope with the iPad line; they are constantly releasing new technologies and advanced capabilities. It is one of the fastest tablets on the market, and even exceeds many laptops in performance ability. iPad offers high touch technology in a package that's easy for the average person to use. Because of this, Apple is a tablet computing market leader, with over 350 million iPad tablets sold since 2010. Highly Standardized: Those hundreds of millions of tablets sold are across a very small number of SKUs, shapes and device sizes. And they all run the same operating system, Apple's iOS, which is built on the premise of a simple user interface. And buttons are in the same place from model to model. These make iPads familiar and easy to operate, even for those who generally do not use Apple products. As iOS is a closed operating system and with a closely controlled iTunes app store, there is less risk of viruses, malware, spyware or corruption on anything that you download. 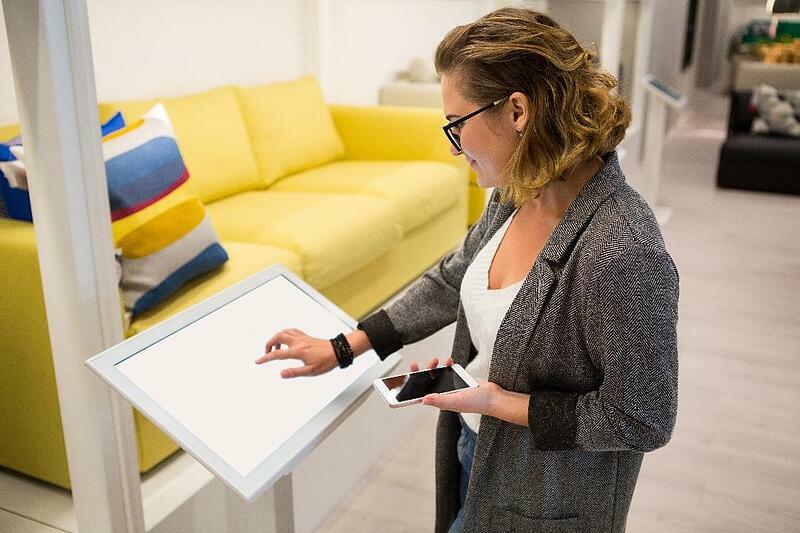 More Check-In App Hardware Options: Thanks to the standardization, there are countless floor stand, desktop and wall mount hardware options to support your sign-in kiosk. 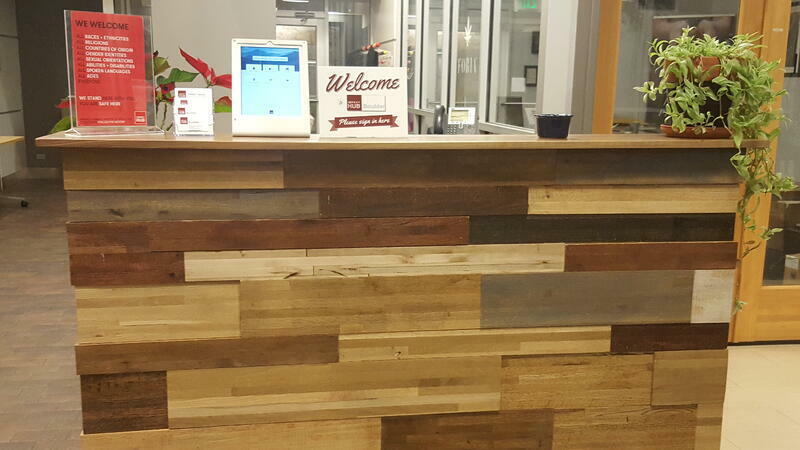 You will surely find something perfect for your lobby environment. And they are generally lower priced to their Android counterparts. When you add the pieces and parts, an iPad-based hardware package may be cost competitive to an Android alternative. This is also important if you require multiple check-in kiosks due to a busy reception area or multiple visitor entry points or floors. Resale Value: Apple's appeal is only growing, making the iPad a strong investment. With options for resale, trade-in, or upgrade, they make it easy to scale your visitor management system. The Apple support team, both online and in-store, is a commodity that also adds value to your business, in that they keep your iPad, and thereby your visitor registration app, running smoothly. Supports Multiple Stores: While the iPad plays nicely with Apple devices, Androids play nicely with others too. The Android supports multiple app stores, such as Google, Amazon, and Samsung, giving you more options for downloading and running your apps. Android is also more customizable, allowing you to get more creative and personalized to fit your organization and brand. More App Availability and Connectivity: With Android's more open operating system comes a wider array of options. Android screens are available in excess of 20", for a highly visible visitor management app kiosk. Your visitor registration app will be prominently displayed, and legible to all your viewers. Unlike iPad, Android is a general name for a multitude of devices, with different specs, sizes and colors from a variety of different manufacturers. This gives you more affordable options for running your visitor registration app. Bigger Bang for the Buck: More hardware manufacturers building for Google's Android platform means more competition. And that means a lower purchase price for most Android tablets. Although, as noted above, you also need a mount to secure your device. Make sure to compare the total cost of ownership. Market Leader: While Apple gets a lot of the hype, Android currently holds more of the market share. More smartphones users own Android devices than iPhones, and PC Magazine recently ranked Amazon Fire tablets above the iPad for 2018, a trend that is gaining traction. Ultimately, you can't go wrong. There are unique advantages to running your visitor registration app on Apple iPad - amazing technology, standardization, lots of affordable mounting options and resale value lowering the lifetime cost of ownership. Google's Android operating system offers it's own advantages - a lower upfront price point and more tablet devices to choose from. Both tablet hardware options will successfully run the best visitor registration apps like Greetly. And given the amazing computing power of these devices, and the massive feature set of modern visitor sign-in apps, in comparison to the low cost, you will surely save money and increase productivity.